From esthetic minimalist to modern, ergonomic design supplemented with details washing machines which will not only perform their main function but will also look exceptionally great in a different style of interior spaces. Washing machines assortment includes only functional and effective devices with logical variety of programs, simple use and best meeting different expectations of different cunsomer needs. Washing detergents saving: additional technologies which help to prevent detergents from being lost to drain and provide an efficient washing. Washing programs: logical variety of programs dedicated to meet different cunsomer needs. Self cleaning programs which ensure the best hygienic results of washing machines, special care programs for garments of the people who has alergies or sensitive skin and babies clothing, economical, dark or especially white garment care, duvet, pet hair removing and a lot of other programs. 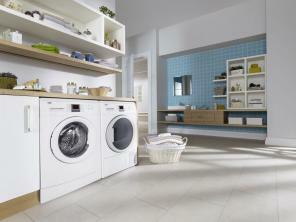 Silent operating: special side walls design which reduces vibrations during the washing cycle. Sensors: always ensures optimal water, energy and time consuption. 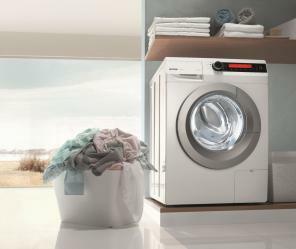 Washing machines have sensors which continuously monitors the washing progress. It can also be automatically identified the weight of laudry inside the drum and according to it appropriate program will be chosen. Overflow safety: ensures that the water will not overflow and electronic components will not be damaged. In case of overflow, sensor immediately closes electronic valve this way preventing water flow into the device. If water starts to flow out of the hose, water supply to the washing machine is stopped. Water level sensors measures any variation from the correct water level and automatically starts draining when this level is exceeded. 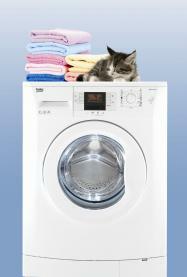 Durable heater: this is the essential component of the washing machine which is worth to be paid special attention. The heater has an extended life when it is covered with a special coating which makes the surface of the heating element smoother, ensures perfect corrosion protection and reduces lime scale accumulation. Washing machine drum technologies: specially designed drum perforation, number and size of holes, properly angled paddles which ensure efficient moving of laundry and perfect protection of it. Inverter motor: durable motor technology which also ensures quiter operation.